Experience the highlights of Britain while traveling from London to Edinburgh via York with the comprehensive 8-day private tour. See the iconic clock tower Big Ben, the magnificent York Minster, tour the Yorkshire Countryside, and of course the Royal Mile in Edinburgh. Welcome to the incredible capital of the United Kingdom - London! Upon arrival your driver meets you at the airport and takes you to your hotel for check-in. For the afternoon activity we would recommend visiting The British Museum or the National Gallery. 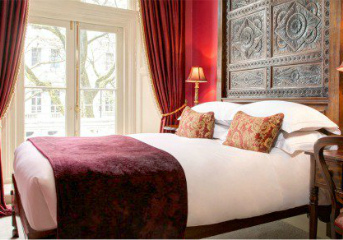 Following breakfast in your hotel you begin to explore the iconic landmarks of London. We have booked a 2 day pass for London tube for you, so you can experience famous London transportation system and save time on traffic. Together with your professional guide you begin your full day city tour with the legendary Tower of London. Your tour continues with a walk to the absolutely un-missable must-sees of the city: the 700-year-old Westminster Abbey and one of London's most famous landmarks - the Houses of Parliament's iconic clock tower Big Ben, officially known as Elizabeth Tower. After the tour you return back to your hotel. The rest of the day is free for you to explore London. Today is a free day for you to explore London! There is still plenty to see, and one of the suggestions would be to visit The Shard skyscraper, which opens great panoramic views of the city. Or you can choose to take our carefully planned optional day trip to Windsor Castle. Today you go on a day trip to the picturesque Windsor Castle, which has been the family home to British kings and queens for over 1,000 years.It is the largest and oldest occupied Castle in the world. This morning after breakfast you check out from the hotel. You are then taken to the train station for your short train ride to York. The duration of the train ride is approximately 2 hours. Upon arrival to York, you are transferred to your downtown hotel for check-in. Today you get to learn about the architecture, important characters, and brutal battles that have made York a cultural pilgrimage. Nearly becoming the capital of England, it was first found by Romans in 71 AD. During the guided orientation walking tour of York you explore the ancient city walls, see the picturesque Shambles and the magnificent York Minster. After the tour you return to your hotel and have the rest of the day at your leisure. In the morning after breakfast, you check out from your hotel, meet your driver-guide and start the exploration of Yorkshire countryside. Today you pass many scenic places including Knaresborough, the gorgeous Nidd viaduct, Harrogate, and the Southern part of Yorkshire's Dales National Park. As one of the highlights, you stop at Hawes to taste Wensleydale Cheese. Your way back to York takes you via Pateley Bridge market town, home to the oldest sweet shop in England, and you also pass the outstanding 14th-century Ripley Castle. After the tour, you are taken to the train station for your train to the capital of Scotland - Edinburgh. Upon arrival in 2 and a half hours, you walk to your hotel located nearby for check-in. This morning after breakfast you take a train to the capital of Scotland - Edinburgh! Upon arrival, you check in to your hotel and meet your guide and start with a tour of the Royal Mile. Your tour includes a tour inside of the Edinburgh Castle to explore this famous fortification and enjoy great panoramic views of the city. After the tour (around 4 hours) you return to your hotel. You may extend your tour with an optional guided visit to the Royal Yacht Brittania. Today is free for you to enjoy and explore Edinburgh. We recommend visiting the Scotish Gallery of Arts, the Queens Gallery, or the famous "Our Dynamic Earth" exhibition. Or, take a day-long optional trip to Loch Ness, Glen Coe and the Highlands with a local group tour, to explore the famous lake and its surroundings. Take in the beauty of Scotland and see the Highlands, Forth Railway Bridge, stop in Pitlochry, enjoy the stunning scenery of the Cairngorms National Park and Loch Ness. Today is the last day of your adventure to Great Britain. Your driver meets you at the hotel lobby and takes you to the airport for your departure. We wish you a safe flight and hope to see you again on our tours! Recommended extension: If you would like to continue your trip, extensions to Northern Ireland or Ireland are available.